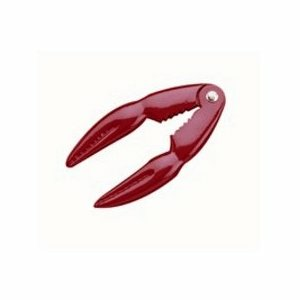 If you've ever envied a lobster for his pointed claws (though not his boiled destiny), now you can have your own bright red set of pincers. These crackers can't help but make a shellfish dinner festive: picture your friends wearing lobster bibs and wielding these playful--yet highly functional--lobster and crab crackers. The strong and durable design will make sure you get the most from your lobster dinner every time. Also great for crab and other hard shell seafood. Dishwasher safe.